The common question that new Pitbull owners often ask..
Am I feeding my Pitbull a nutritionally balanced food? New dog owners are often worried about the food they are feeding their dogs or puppies and quite frankly, they should be. Dog’s health is directly related to what type of food they are eating. Good quality dog food has power to increase the length and quality of your dog’s life. 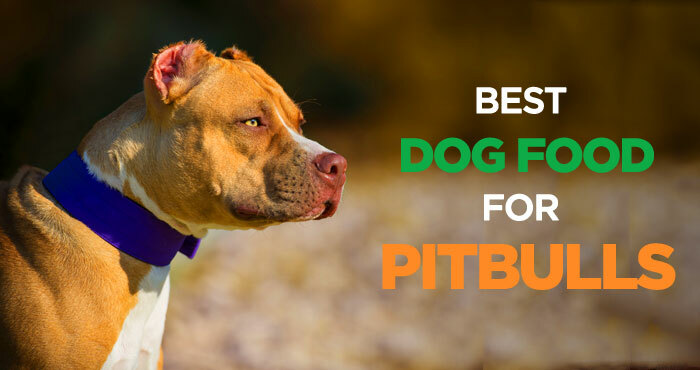 So it’s really very important to search for a high protein dog food for Pitbulls but it’s not an easy task because there are tons of commercial dog food brands available in the market and each brand advertise itself as being good dog food for Pitbulls as well as more superior than other brands. So how do you know which dog food brand is good for your Pitbull? Just look at the top five ingredients on any high quality dog food and make sure none of them are low-quality protein and carbohydrate sources. 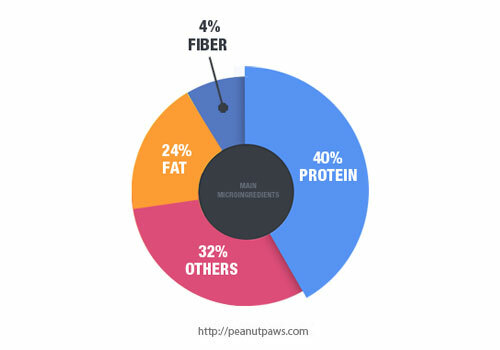 Low-quality protein sources are meat by-products and bone meal, while low-quality carbohydrates come from grains, such as wheat, corn and soy. By avoiding low-quality protein and carbohydrate sources, you will lower the risk of developing various health related issues in Pitbulls which we will discuss in more detail later. Let’s get started on finding a best food for Pitbulls. Note: Above ratings are based on our experience with the product and/or expert opinions. Click the links above to read the customer reviews of best puppy food for pitbulls and see the current prices on Amazon. In order for you to estimate the calories requirement per day for your dog, it is important to know the dog’s weight first. Since most Pitbulls weight between 30-60 pounds, we will take 45 pound as average weight of Pitbull and base our calculation on it. Note: Above estimated calorie requirements are primarily based on an average weight of Pitbull dogs. Before making any significant changes in your dog’s diet, please consult with your veterinarian. According to the National Research Council of the National Academies, an active adult Pitbull dog weighing 45 pounds will require about 1750 calories per day to support his active lifestyle. Of course, the age and activity level of a dog play important role in estimating calorie requirements and greatly affect your Pitbull’s diet. Older dogs will need about 875 calories per day as opposed to growing puppies and young adult dogs which will require more. Growing Pitbull puppies, lactating mothers and young adult Pitbull dogs will need approximately 1,100 calories per day to maintain their overall health. Pitbulls have a strong and muscular body and they tend to enjoy their food, sometimes in excess. You should, therefore, measure the quantity of food you are feeding to avoid him becoming overweight or obese. This can result in too many health-related problems as your dog grows older. Getting overweight will also affect the quality of your dog’s life. Most adult Pitbulls do well with two smaller meals a day instead of one large meal. However, growing puppies should eat three meals a day until they are old enough to begin eating on the adult schedule. As a way of ensuring your Pitbull is healthy, it is crucial to give him a balanced diet. A balanced diet not only improves his physical and mental health but also increases the dog’s life span and his quality of life. Pitbulls are prone to a series of health problems which are sometimes fatal if not treated on time. Feeding your dog with a high-protein and low-grain diet can be a prevention measure. Pitbulls are muscular dogs and, therefore, you need to feed them with a lot of proteins. Proteins in dog’s body are mainly responsible for maintaining muscle mass, repairing old tissues and bone growth. Pitbulls are playful and very active in nature, so they need high-protein content in their daily diet to maintain their active lifestyle. The question here is, how much protein is required to make a food, the best dog food for Pitbulls to gain muscle and how much is too much? Many nutritionists normally recommend 25%-30% protein in a Pitbull’s diet which is sufficient for typical adult dogs. However, if your dog is actively involved in tracking, hunting and sports then it is advisable to include at least 30%-40% protein in your dog’s diet. Some Pitbull enthusiast recommends giving even more, 40%-50% protein as it helps with strengthening dog’s muscles thus reducing common injuries on dogs. Quantity of protein in your Pitbull’s diet is not the only important factor but the sources of protein also matter a lot. Ensure you feed your dog on high-quality lean meats sources such as chicken, beef, turkey and fish. These are great protein sources for your Pitbull if you want him to be healthy. Fat is a source of energy for your dog. It is therefore also one of the main components of your dog’s diet. Fats help keep the dog’s skin healthy and shiny as well as maintaining a stable body temperature for your dog. In most best dog food brands, the content of fat is kept at a satisfactory level and is normally added in order to boost its flavor. You, therefore, do not need to be worried about the fat content as you buy a dog food for your Pitbull. The minimum requirement of fat in a dog’s diet is typically at 10%. However, it is advisable to have between 15%-25% fat content for your Pitbull. Excess fat is not good for the health of your dog since it puts him or her at a risk of developing heart-related diseases. This is the same effect excess fat has to humans. One good source of fat in your dog’s food is usually enough. Like proteins, fat varies in quality depending on its source. The source of fat is also worth your consideration. Chicken fat, fish oil and flax are some of the great sources of fat that you should look for in ingredients. All the vitamins, minerals and other nutrients your dog may require are normally formulated within most high-quality dog foods. Vitamins and minerals help your dog maintain a healthy skin as well as boosting the dog’s immune system hence preventing any health problems. Vitamins, therefore, play an important role in the overall growth and health of your dog. 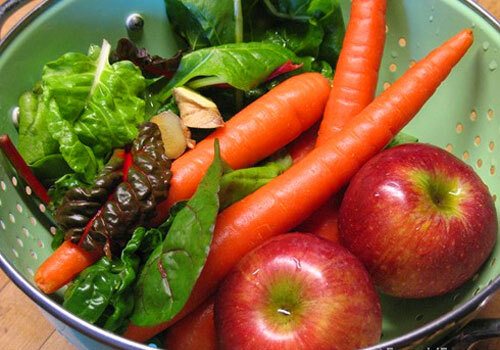 Vegetables and fruits are the major sources of the required vitamins and minerals in a dog’s diet. This is the reason why they are a major ingredient in almost all known dog food brands. You should look for a dog food that packs with wide range of vegetables and fruits. The more the variety is, the better. Carbohydrates are known to provide energy to animals including dogs. In dogs, they also help in digestion. Sufficient carbohydrates in your dog’s diet keep your dog’s body from eating its muscles thus remaining strong. Studies have proved that dogs do not need carbohydrates to sustain a robust health. So it’s perfectly fine to feed your dog a food that has very low carbohydrates. But make sure that all of it comes from high-quality sources such as barley, brown rice, sweet potatoes and oatmeal. Keep the percentage of carbs very low or moderate in your dog’s diet. Avoid dog food with high amount of carbohydrates. More specifically, you should not give your Pitbull a lot of grains since they may result in many health problems. Fresh and clean water is one of the most important nutrients that is often forgotten. This applies to every mammal. Water helps in promoting digestion, flushing toxins out of the body and also transporting nutrients throughout the body. There are a number of factors that will determine the amount of water required by your dog including the age of your dog, activity level and the surrounding environmental conditions (weather). 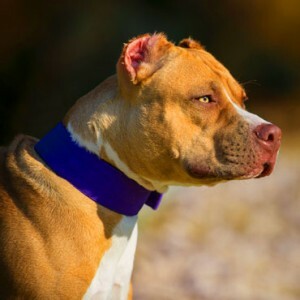 Pitbulls are often involved in a lot of activities and also considering their muscular bodies, they will require a substantial amount of water. An average Pitbull will consume about 40-50 ounces of water each day. 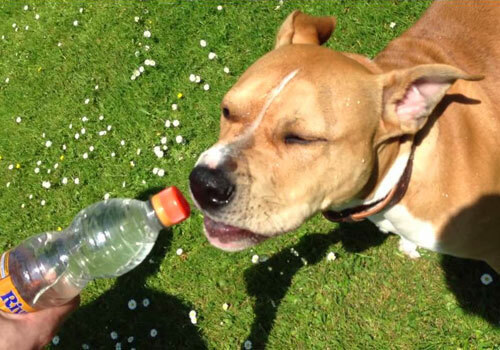 Generally, Pitbulls will require about 1 ounces of water for each pound of their total weight. Pitbulls are athletic dogs and they tend to lose a lot of body water quickly. They can become dehydrated and ill quickly, if they were not provided drinking water. So keep your dog’s bowl filled with fresh, clean water at all times. Most Pitbulls love and enjoy eating food, sometimes too much. Not all food ingredients are therefore good for Pitbulls. So when you purchase a dog food from the market, be very keen on the top 5 ingredients of the dog food you are picking. Most dog foods have meat by-products as a source of protein. 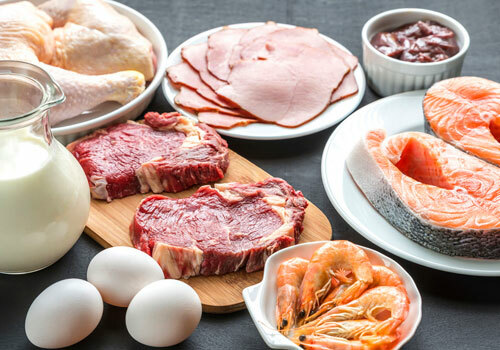 These are low-quality proteins together with bone meals. 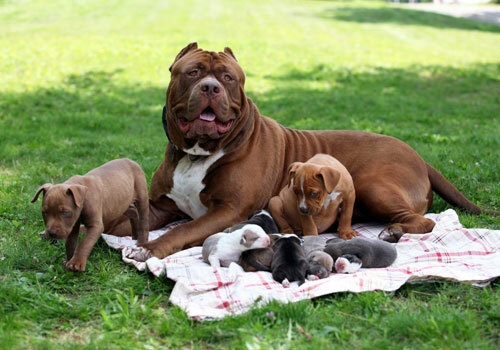 Pitbulls require high protein contents in their diet due to their muscular bodies and active lifestyle. These ingredients are therefore not supposed to be included in your dog’s diet. Considering where they sometimes meat by-products come from, they are unhealthy and unhygienic for Pitbulls. They are produced from dead animals and expired meat most times. The cognitive tissues and bones in these products make them not suitable for consumption by your dog. Check to ensure the meat proteins are from whole meat. You should avoid dog foods containing wheat, corn and soy as their main ingredients since they provide little nutritional value to your dog. They are low-quality grains and are only added as inexpensive fillers. Fillers are ingredients that contain zero calories and zero nutrients. Such ingredients pass through your dog’s stomach without providing any nutrition. 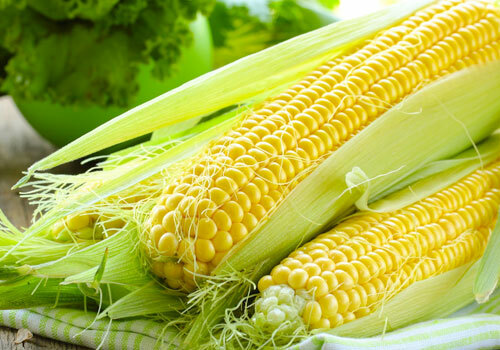 They can result in many health related problems especially in the gastric. They are also known to cause allergic reactions in Pitbulls. These ingredients are used in the dog foods because they are cheap and easy to obtain. Avoid also dog food products that contain salt, sugar artificial preservatives and flavors. 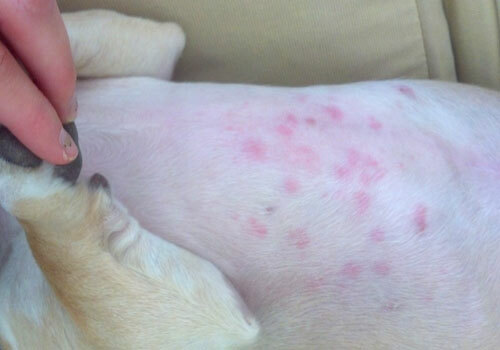 They will also result in many allergic reactions in your dog. Like every other dog breed, Pitbulls has a set of health problems that crop up more often. It is important for you to be informed of these health problems so that you can avoid them where possible. Feeding your dog a healthy and balanced diet can help prevent some of these problems. Food allergies are a very common health problem in Pitbulls that shouldn’t be ignored. Pitbulls can become allergic to a specific food ingredient which they were comfortable with before. In most cases, food allergies are as a result of the presence of low-quality grains such as wheat, corn and soy in your dog’s diet. These food allergies result to skin and coat problems. For you to stop this allergy, you need to avoid the foods that trigger allergies in your dog. Identifying the exact food ingredient causing the allergies will help you stop it. However, to avoid them keep off from those low-quality grains. Hypothyroidism is a common health condition experienced in dogs. It develops as a result of a malfunction in the dog’s thyroid gland whereby it fails to produce enough hormones to support the dog’s body system. Possible symptoms of this condition include your dog gaining weight, sluggishness, weakness, dull skin and coat and the inability to tolerate cold. Thyroid hormone supplements are available and can be used to treat this condition. A balanced diet for your Pitbull as well as exercise is the key to avoid hypothyroidism. This refers to when your dog’s stomach starts swelling or twisting over itself. This happens when your dog isn’t able to release stomach gases. 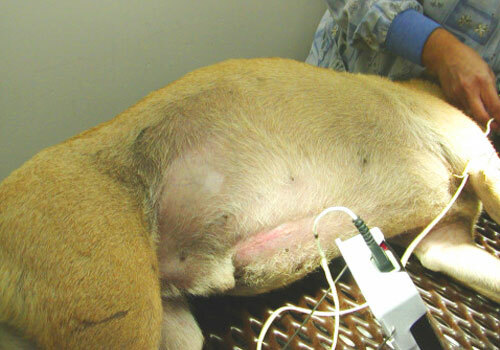 It is a serious condition in Pitbulls that can be fatal if you do not treat it immediately. It is also known as gastric torsion. As soon as you see any symptoms of this condition, call your vet straight away to examine your dog. Pitbulls are prone to this problem since they eat very fast as they swallow without even chewing. To prevent this, avoid low-quality grains such as wheat, corn and soy since they cause a lot of gases to be released in the dog’s stomach during digestion. Feed your dog with high protein content instead. Another way to prevent this condition is by spacing out your dog’s meals throughout the day so that they eat fewer portions of food but more frequently. You can choose to divide the two meals into three or four meals if you are fine with that. Finally, you should ensure your Pitbull doesn’t vigorously exercise after eating. This will result to the releasing of more gases increasing the risk and chances of the stomach twisting. Let your dog chill for about an hour after taking his meal. Hip and Elbow Dysplasia is a joint problem common in large, active breeds. It can be genetic or as a result of age. It is a serious condition and can get worse if your dog is overweight or obese. The good thing is that this is totally within your control. You need to be careful not to overfeed your dog. This will help you prevent your dog from becoming overweight. Secondly, feeding your dog with dog foods with higher protein content and low carbs will help maintain his weight. Giving your dog gentle exercises will help lessen pressure on his hips. Epilepsy – A genetic condition that can cause seizures in dogs. Heartworms – A serious and widespread canine disease. Pitbulls usually enjoy their food so it is not a problem getting your dog to eat. But what to feed and how much to feed is the problem in most cases. Pitbull puppies less than 4 weeks old are to be fed on their mother’s milk. Puppy dog food should be introduced at the age of 4-7 weeks. However, your best puppy food for pitbulls should be mixed with milk or water before feeding the puppy. When your puppy is between the ages of 2 months and 1 year old you can feed him solid food. After 1 year your dog is no longer a puppy. He is considered an adult and should be fed with high-quality dog food. Adult dogs usually need to feed two times a day, while younger dogs and growing puppies must eat 3 to 4 times a day based on their activity level. You should hand out treats to your puppies but as they grow old, you should use treats for training purposes only. Finally, one more important thing to mention before we jump up to the food recommendations is that you should be very careful while transitioning from one food to another. Dogs usually upset their stomach and get sick when their food is changed overnight. 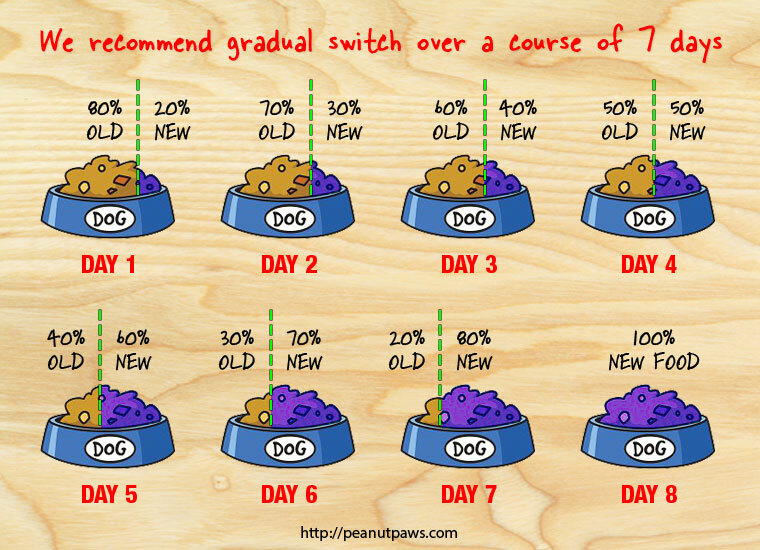 You must change the dog food gradually over the period of 7-10 days. You should mix well old and new dog food and gradually increase the amount of new dog food. Above picture will help you understand the process of changing the dog foods. 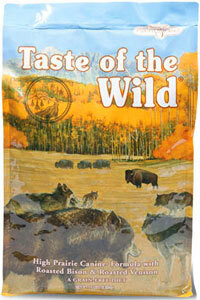 This dog food is based on Bison meal and Lamb meal which is high-quality source of animal protein for dogs. It comes with 42% protein. That’s the ideal amount of protein for Pitbulls. This contains 28% fat which is optimal for Pitbulls to keep their coat and hair healthy. Fiber level is 4.4% in Earthborn. Another good thing about this dog food is that it’s a grain-free dog food. So if you are looking for a good dog food for Pitbulls then it’s your best choice right away. As recommended, it also had lots of vegetables and fruits, such as peas, apples, blueberries, carrots, spinach, cranberries and many others. No sugar, salt, artificial flavor and preservatives, makes it perfect for dogs like Pitbulls. Overall, this is great dog food for athletic dogs like Pitbulls. It’s a high-protein recipe with no grains. 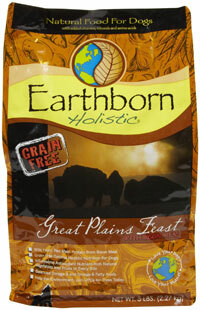 Earthborn Holistic Meadow Feast is a grain-free dog food which used Bison and Lamb for the source of animal protein. We give it our 5 star rating and status of highly recommended best puppy food for Pitbulls. 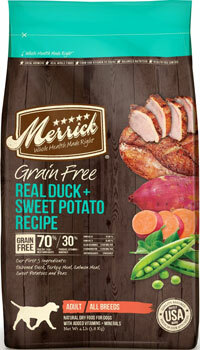 Merrick is also one of the few brands which provide high-quality grain-free dog food for pets. Not only this comes with high-protein content, 43% but also the protein sources are soild, such as real duck, turkey meal, salmon meal and lamb meal. It does not contain any objectionable low-quality protein sources like meat or poultry by-products. Although the carbohydrate level is little higher in this food but there is nothing to be worried because most of it come from sweet potato which is commonly known as one of the best source for high-quality carbs. Apple, blueberries and peas are the main sources of vitamin. We also liked the fact that this contains fish oil too and that is really great. 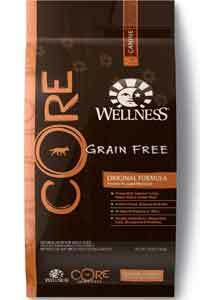 On top of that, this is a grain-free dog food and does not contain any artificial preservatives or flavor. This is another great choice of high protein dog food for Pitbulls which comes with healthy levels of nutrients. Merrick is a protein-rich grain-free dog food which used real duck, turkey and fish as the main sources of animal protein. We highly recommend it and give our 5 star rating for best food for Pitbulls. Always consider a good, premium, high quality, preservative and flavor free dog food when picking or buying a best dog food for Pitbulls. This will save your dog from allergies and other conditions that may be caused by a poor diet. Regular exercise is also important in maintaining your dog’s weight hence keeping your dog in good health. This will not only improve the quality of life of your dog but also increase his lifespan by few years. Another important benefit you will notice in terms of saving some money on veterinary bills because of less frequent vet visits. Like this article? You may also like our detailed guides on recommended dog food for Chihuahuas or best dog food for Yorkies. Earthborn Holistic Meadow Feast was reviewed by Brian Hersh on Feb 15, 2016. *Disclaimer: Our best food for pitbulls reviews are based mostly on our expertise and the experts/veterinarians we consulted with and the information provided by the manufacturers. We do test many dog foods, but it’s not possible to test them all. As such, please remember the above recommendations are our opinions, and before making any changes in your dog’s diet, please consult with a local veterinarian. I have a 3 months old Pitbull puppy and she is very healthy and enjoys her food. But from last week she stopped eating the dog food I bought for her. She used to love it but now she gets diarrhea after eating it. Now she also sleeps a lot and be less active. I am a little worried about her as I don’t know what’s wrong with her. Is it possible that she does not like the dog food of dog food causing her trouble? If your dog is not eating the dog food, you brought then you should try changing it to a higher-quality brand with high animal proteins. Earthborn Holistic Meadow Feast is a fantastic dog food for Pitbulls you can try. If your dog still does not eat then, you should take him to a veterinarian for a medical checkup. This is a super helpful, informative article! The link to the feeding guide is particularly useful for me, and I appreciated the recommendations as well, which I will be taking you up on. Thanks a lot! In most cases, gaining weight for dogs is going to be damaging because their bone structure simply is not capable enough to support extra weight and it could lead to many health related problems. Yet, if you still want your dog to gain weight, you can start feeding him diet with extra proteins and fatty acids, such as Earthborn Holistic Meadow Feast. You can also feed him raw meat and eggs as they are fantastic source of protein. You can also give 1/4th cup of Satin Balls with food once a day. Monitoring diet is critical or your dog with get overweight. My 11 month old pitbull puppy eats Merrick Back Country puppy food. Recently she has been scratching and has a rash. My husband sometimes gives her pieces of chicken as a treat, but I read that pits may be allergic. I also read that the food I am using may contain a chicken base. Do you recommend switching foods? Also, when do I switch from puppy food to adult food? Thank you! First, try to find out what is the cause of allergy. If you believe it is because of chicken, then stop feeding her chicken immediately. Also, switch her to meat based food instead of chicken. Your puppy is almost one year old, and it’s the right time to switch her to adult dog food. 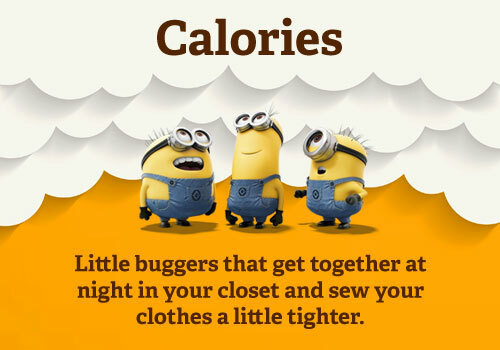 Also, avoid free feeding. For bulky muscles in Pitbulls, Earthborn Holistic or Merrick are the ideal dog food for your dog. Try any one brand for few weeks and monitor his growth. Make sure you also feed him raw meat once in a while. What kind of raw meat? Most meats contain good amount of protein, but some are more suitable for dogs than others. Pork is not recommended, but other meats are appropriate in reasonable amount. Your best bets are quality beef, turkey, and lamb. These are great choices when serving raw meat. But remember, it’s not a replacement for high quality dog food. As already suggested, feed him/her high protein diet. Although, if your dog is too slim, then I would strongly recommend you to visit your veterinarian immediately. It might possible your dogs has worms. I have a blue pit he weighs about 80 lbs he’s just over a year old. I also have a shorty bull she’s a small breed of American bully she weighs about 30-35 lbs and is almost 1 year old. I’ve tried many different foods for them but I keep having trouble. Either she has really soft or runny stool while he has hard and sometimes dry stool I can’t find a good balance for them to digest and have healthy stool. What should I try? Based on what you have mentioned, I think your dog needs a higher quality dog food. Avoid feeding him/her cheap and wheat/corn based dog foods. I think Earthborn Holistic or Merrick are the ideal choice for your dog. Try any one brand for few weeks and monitor your dog’s growth. Make sure you also feed him raw meat and eggs once in a while. Hi I have a 13 months pitbull. I’m giving her food her doctor sells(perception). I mix her dry food with steak, liver or chicken and turkey(not all at once) change each day. My question is, I do cook her food little bit. Is that good enough? Am I giving her 2much meat? Meat is good for Pitbulls but it’s hard to answer your question. Since your dog is eating the food his doctor prescribed then I am sure it will be fine. Please check with the vet in case you have any doubt. Hi, we already suggested some great food option for pitbulls above. Try one of them. I ‘ve 7 months pitbull female. She have not good chest and head but she is full active. So how I make him muscular. Plz also tell a good feeding schedule. If you want your pitbull to gain weight, you can start feeding him diet with extra proteins and fatty acids, such as Earthborn Holistic Meadow Feast. You can also feed him raw meat and eggs as they are fantastic source of protein. You can also give 1/4th cup of Satin Balls with food once a day. Merrick is owned by Purina.. They have changed their formulas last year. RUN from Purina.